Action: Choose a neutral character in play. Return that character to its owner's hand. 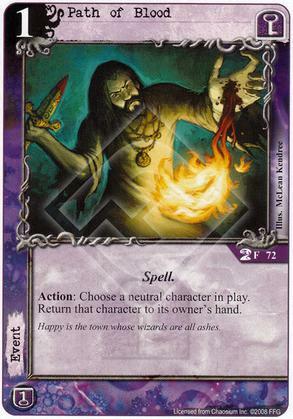 Flavor Text: Happy is the town whose wizards are all ashes.